Your speakers will be one of the largest investments you make as a portable DJ. They also happen to be one of the most crucial pieces of equipment in your arsenal. If you are unfamiliar with the differences of monitors, speakers, and PA systems, then weeding your way through the technical details can be challenging. I've written this guide to help you avoid any disastrous mistakes and hopefully prevent you from spending $500 dollars on the wrong set of speakers. There are a few small technical details that you should familiarize yourself with in order to make the correct decision. You should view your speakers as an investment in your business. 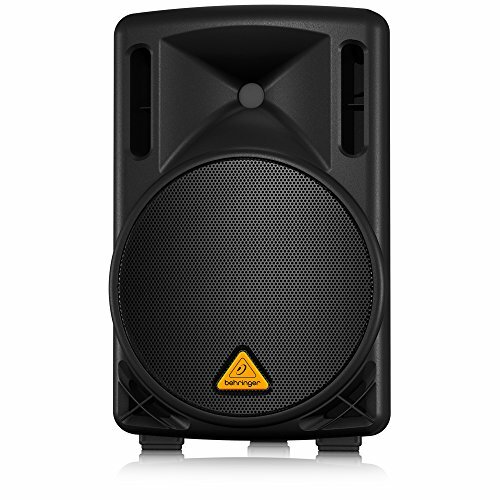 Buying quality speakers will give you credibility and ensure you are viewed as a professional DJ. Hopefully, with a few sets under your belt, you should be able to pay them off. I'll quickly run through a few considerations and then list out the best options on the market. These are of course my personal opinion. Feel free to check out the product reviews from actual customers before you pull the trigger! Let's get started. What's The Difference Between A Monitor And A PA? This is a common (and sometimes disastrous) mistake. Please DO NOT use your monitors for gig DJing. What's the difference between monitors and PAs (public address)? A basic method of telling the difference is through size. Monitors are typically much smaller than PA. They are designed to be used in close proximity ( < 3 feet), as such are sometimes called 'near-field' monitors. Using them at high volumes for extended periods of time can destroy the internal components of the speaker resulting in a total replacement. You should use near field monitors for bedroom DJ as they are designed to fill small rooms with accurate sound. 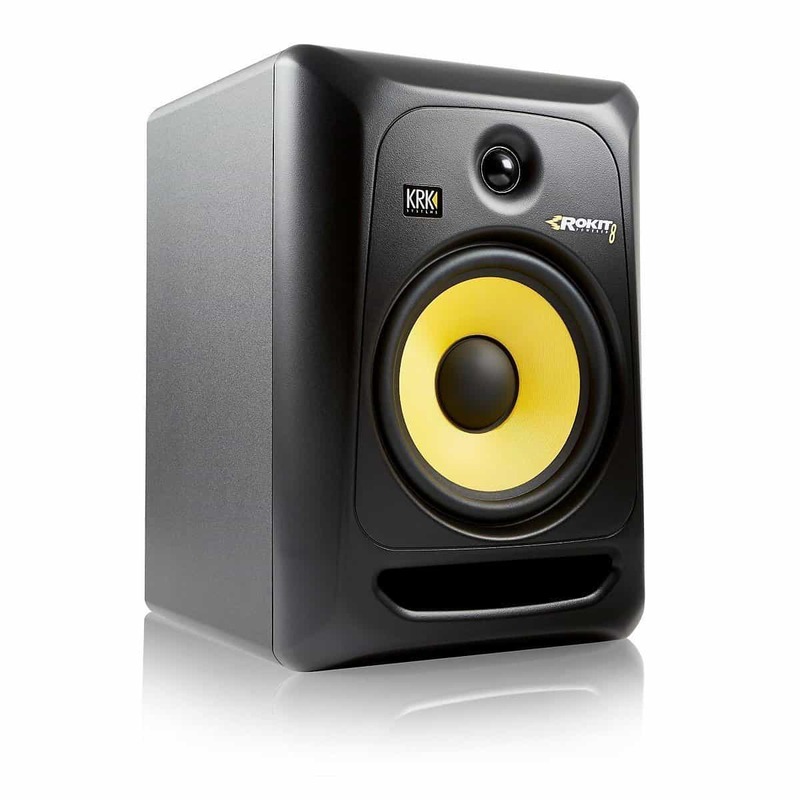 If you are looking for a quick recommendation, the KRK RP5G3-NA Rokit 5 are the most popular near field speaker for DJs (they have a slightly boosted low end which is ideal for electronic music). 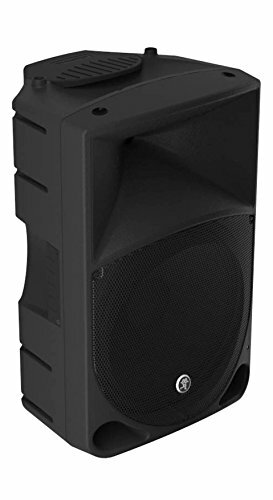 If you are going to be using the speakers for your shows, you must purchase PA speakers. These speakers are designed to take the abuse of high volumes for extended periods of time. They are powerful enough to fill small to medium rooms and are easy enough to transport. When looking at PA speakers there are a number of things you should know. If you've been around the industry for a while you've probably bumped into a few different speaker setups. For the most part, speakers have been what's called 'passive' speakers. Essentially, the speaker requires an amp to supply the power and the signal. The cross-over on the speaker is passive, and they tend to be far more complicated to set up. They require power matching with the amplifier and can get very technical very quickly. It's for this reason that we typically recommend active speakers. They are far easier to deal with and have a comparable sound the passive speakers. 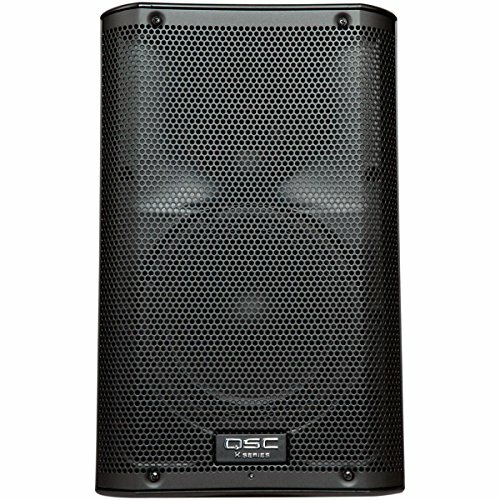 Just a note of interest, passive speakers are usually used in larger venues where the speaker system is more permanent. It's much more convenient for the sound engineer to have the amplifier next to him rather than having to adjust each speaker in turn. Active speakers, on the other hand, are great for DJs. They are very portable and don't require much technical knowledge. The technology has come a long way. They now sound comparable to similar passive speaker setups. If this is your first introduction, an active speaker ​is an 'all-in-one' speaker. It includes the crossover network and amplifier built in. You simply plug the speaker into a power source and input your audio and you are set. Some speakers will allow you to adjust a few parameters on the speakers themselves. These speakers totally remove the hassle of matching your amplifier to your speakers. You will never be underpowered again! 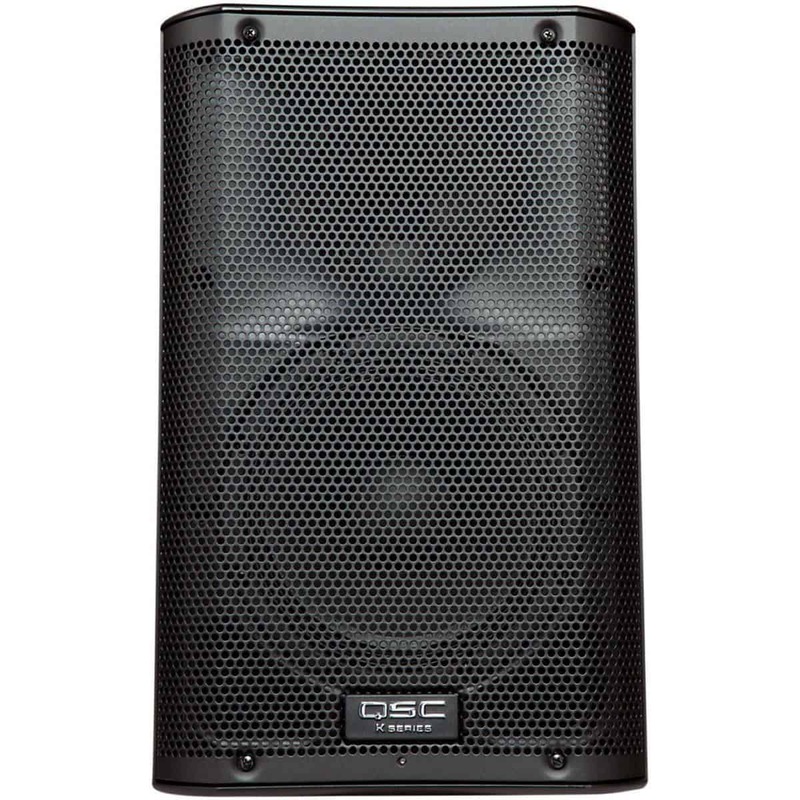 Essentially, an active speaker has a powered crossover unit (a device to split the incoming audio into different frequency bands for different parts of the speaker), while a powered speaker has direct power being supplied to it. If you want more information on active speakers check are my article here. 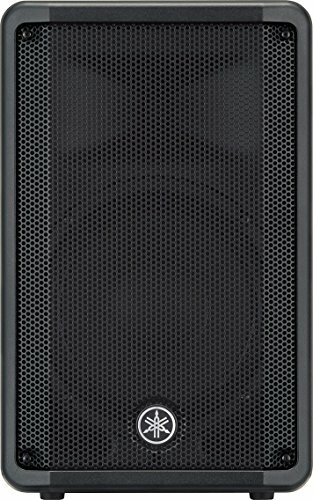 Power Rating - How Big Of A Speaker Do I Need? This is a typical number you will see thrown around during your research. It can be helpful, but it can also be misleading. It seems like it is a good way for companies to boast about their speaker's specifications. Basically, a speakers wattage refers to the power drawn by the speaker amplifier. You can use it as a quick guide to how loud the speaker is (higher the watts, higher the volume). However, this can be misleading! The volume of the speaker is determined by a number of different factors. The volume of the speaker is also directly proportional to the sensitivity of the speaker (measured in dB). The higher the sensitivity, the louder the speaker will be a given power. High watts + high sensitivity = loud volume! Playing for 100s of people? You'll need at least 1000 watts of power! The cone size of the speaker is typically given in the title or the description of the speaker. The cone size given refers to the largest cone within the speaker. This spec will help give you an idea of the frequency spectrum the speaker is able to put out. For DJs, I highly recommend getting a set of speakers with larger cone sizes (8'' - 12''). This will allow you to get the low-end that is required for electronic music. A lot of electronic and hip-hop music has very pronounced low-end and require larger cone sizes to get the most of the music. You'll also need to consider adding a subwoofer to your setup. I'd almost go as far as saying these are essential if you will be playing electronic or hip-hop. If you want your crowd to feel the music and be blown away, get a subwoofer! The only downside is they can be a bit pricey. If you can't afford one straight away then you should be able to get by without one, but I highly recommend picking one up as soon as possible. The weight range of speakers can be surprisingly diverse. This part of the speakers is going to be up to your personal preference. If you are okay with a heavy set of speakers, then don't worry about this. However, if you are going to be complaining about lugging a set of heavy speakers around then pay more attention to the weight. The durability of the speaker should also be a consideration. This part is usually taken care of by the brand. If you buy from a reputable company, you won't have a problem. If you scrape from the bottom of the barrel, you may run into issues quickly. Portable speakers take a lot of abuse. It is worth the investment to spend a little more upfront to avoid a breakdown in the middle of your set. Budget - How Much Should I Spend? Invest. If you are serious about becoming a portable DJ, you need to invest in your equipment. The better quality your speakers, the more your audience will enjoy your shows. The more your audience enjoys your shows the more chance you will have of getting hired again. It may seem like a lot of money, but your speakers are integral to your sound. Plus, the good news is, these speakers usually last forever! Consider it an upfront investment that will pay off in the long run. 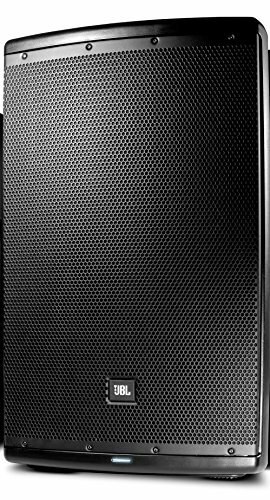 Here are the best DJ speakers on the market. 10'' woofer with 220 watts of power. This speaker is best for those on a budget. If you can't afford to invest over $500 on a set of speakers, this is your best choice. While it doesn't have the power to fill a room full of hundreds of people, it will give enough punch for you to get a crowd under 100 pumping. 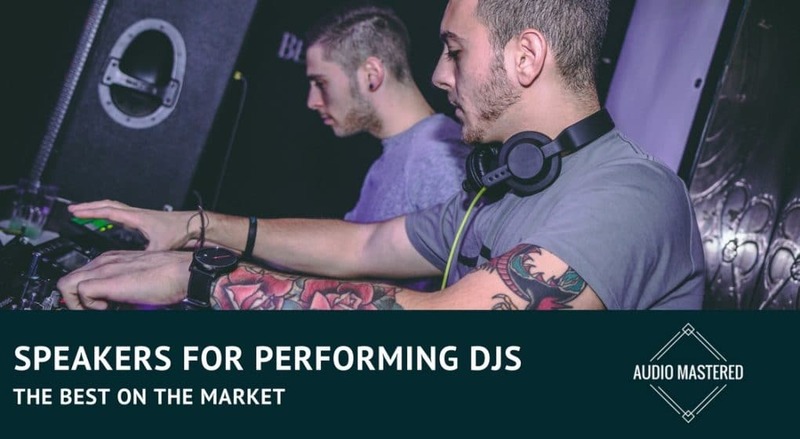 This can be a great first step for your first year or two of DJing until you've done enough gigs to afford an upgraded set of speakers. The speaker offers a lot of the same features that you will find on more advanced speakers. You have a master volume level, as well as a 2-Band frequency adjustment. It uses a class-D amplifier (great for heat dissipation) and an integrated sound processor. A great option for those just getting started! If you expect to play for hundreds of people at a time but don't have the means to spend over $1000 on speakers, this is for you. Mackie is a legendary name in speakers. They have a great reputation for quality and durability. The Mackie thumps are no exception. 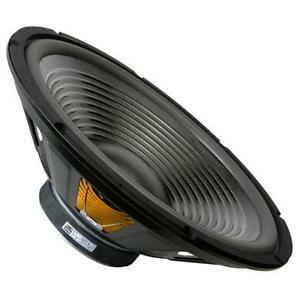 These speakers provide you with 1000 watts of power with a 12 inch cone. They also happen to be one of the lightest speakers in their class. A great option all around. Perfect for those on a budget who need to play for big crowds. Full disclosure: I love JBL. They are my go-to company for speakers. They have such a good reputation for producing the best speakers on the market. I've never had problems with JBL and recommend them whenever I can. These speakers are beasts. 1000 Watts with 15'' cones. Plenty of power for large crowds. You are also getting waveguide technology that ensures you avoid the hot and cold zones within the room. The speakers come with a Bluetooth control of the EQ settings on the speakers, great for those who like to tweak their sound during the set. It can be very annoying if you have to walk up to your speakers every time you want to adjust the speaker EQ. A highly recommended option from JBL. These speakers only have 700 watts with a 10 inch cone. I still would recommend going with the JBLs as the extra power will be worth the extra money. However, Yamaha still produces some of the best audio equipment on the market. These speakers also come with a 7-year warranty - Yamaha is very convinced these speakers will hold up to abuse. They are also one of the highest rated loudspeakers on Amazon. Go have a look what other customers have had to say if you are not convinced. These speakers won't be the best if you want to play for big crowds, but they will be able to fill a small room. They will also work great as a stage monitor. I'd almost go as far as saying these speakers are better for other styles of music (such as a one member acoustic performance). The quality is there, and I really have nothing bad to say about these speakers, but unless you have a thing for Yamaha, I'd skip these ones. The best speakers on out list. These are probably the most popular speakers on the market at the moment. They deliver a lot of power and volume while still producing exceptional sound quality. There is a lot of technology that has gone into these speakers that make them top of the pile. This speaker provides great detail over the entire frequency spectrum. These speakers give you a wide dispersion angle so you won't have to worry about any dead noise in your room. You get a 129 dB sensitivity level and 90 degree conical coverage. ​The only issue I have with these speakers is the smaller cone diameter. However, 10 inch is still plenty for most DJ applications. You should be able to get away with not purchasing a subwoofer at the start. These speakers will be perfect for any gig you can think of. Highly recommended. 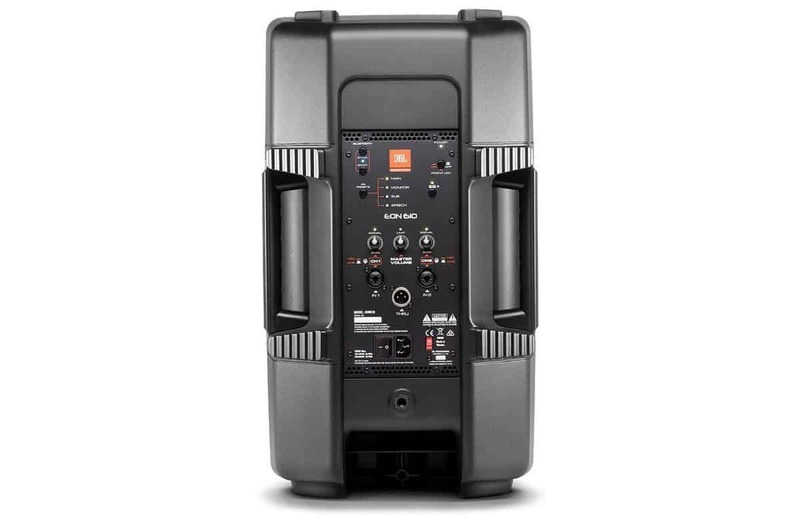 If you don't like the price tag, go with the JBL instead!